Surface treatment department was created in 2009 as part of a larger investment at Addit. Currently we offer complete line equipped with two painting chambers: fully automatic chamber from German company Wagner and manual chamber from Polish company Ekomal. Powder coating workshop, which takes approx. 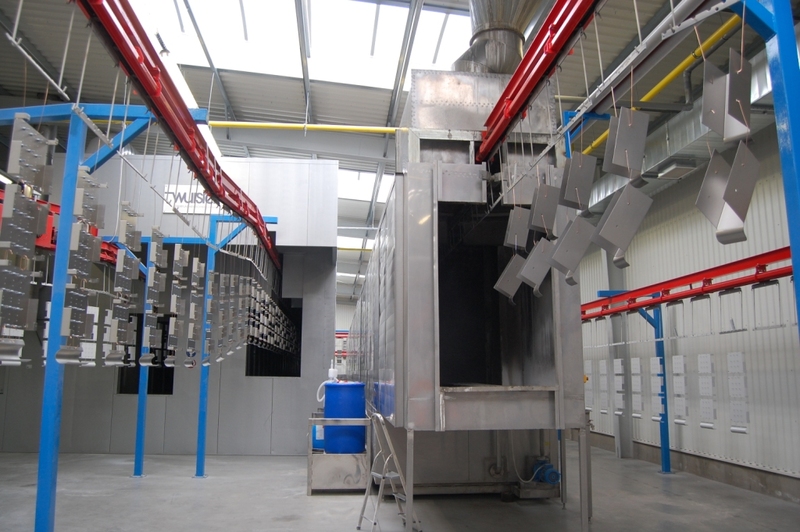 2 000 m2, is equipped with the most modern powder coating line of the German company Wagner. This line is completely automated, allowing for optimal positioning by the process. specific parameters which ensure repeatability of the results. In the case of small series is used for the cabin siding hand. In order to prepare surfaces for painting we use modern chemicals company Henkel called. nano-ceramics. 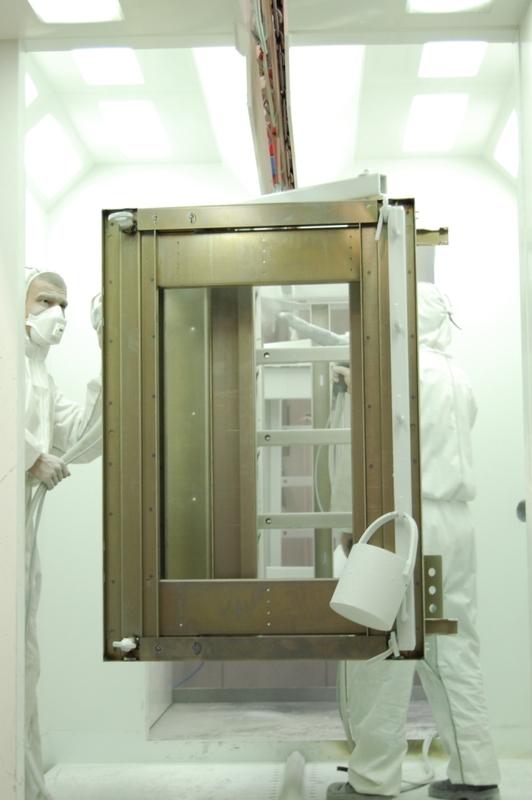 We can also paint powder products guarantees enhanced antimicrobial protection. This unique color effectively prevents the development and migration of microbes, bacteria, fungi, molds, yeasts, viruses, and the like. Antimicrobial coating requires only slight cleaning, which entails cost reductions and positive impact on the environment. It is ideal for medical and laboratory food processing, water treatment systems and air transportation. 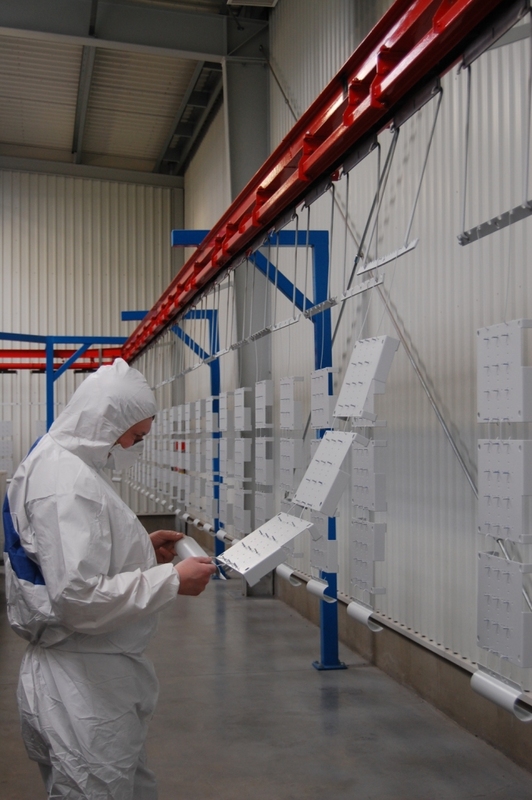 We are able to have any kind and any coating thickness defined by the customer. We provide high quality coatings for anti-corrosiveness class C5. On request, we commission studies corrosion resistance by salt spray. DIN 50021 (EN ISO 9227) and we specimens. EN ISO 2409. Quality control is conducted at each stage of production. The painted parts are subjected to visual inspection and measurement of the thickness of the varnish coating. The standard paint paints by. pallets RAL, stencil NCS and Pantone. We work closely with reputable manufacturers of powders, for example. Worwag, IGP Pulvertechnik, Ankzo Nobel. Our paint shop is certified by. the quality management system ISO 9001: 2008. The department operates qualified 6-five painters of minutes. 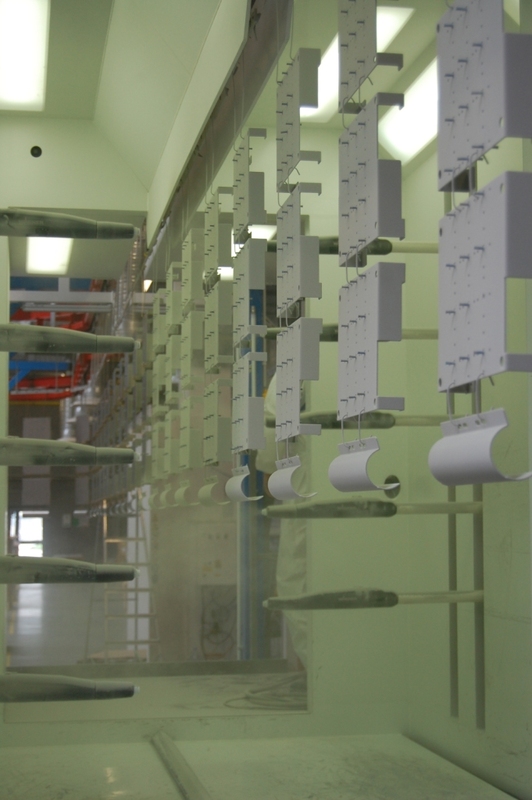 3 years experience in powder coating, who develop and oversee the process of painting products. Powder paints are fully safe for people and the environment. In the process of painting we do not use harmful solvents and during hardening of the coating there aren't any harmful substances. Our surface preparation process is carried out using environmentally neutral nano-ceramics. In this way we do not pollute the environment with dangerous waste, which arises from phosphate and chromate coating. Our powder coating department is ISO 14001:2004 certified. We invite you to use our services!